Shark Cartilage is a dietary supplement made from the dried and powdered cartilage of a shark; that is, from the tough material that composes a shark's skeleton. Shark cartilage is claimed to combat and/or prevent a variety of illnesses, most notably cancer. It is often marketed under the names Carticin, Cartilade, or BeneFin. Shark cartilage is a popular alternative medicine for those with cancer or those at risk. The notion is that sharks cannot get cancer; therefore, ingesting their cartilage will give humans greater immunity to it. While this may be true, shark cartilage has several other benefits that promote a healthy overall well-being. Shark Cartilage provides collagen and glycosaminoglycans (GAG's), such as glucosamine sulphate and chondroiton sulphate, which are components of all connective tissues. Supports maintenance and repair of joint tissues and joint lubrication. Promotes strong, healthy and resilient joints. Supports joint healing in athletic injuries. Supports wound healing and tissue repair. Anti-inflammatory. Helps relieve the symptoms of osteoarthritis and psoriasis. An immune tonic, and supports healthy resistance to mild upper respiratory infections. 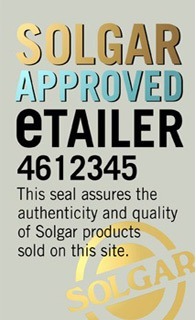 Solgar supplies several different Shark cartilage supplement products such as Solgar Shark Cartilage 750mg 100% Pure 45 Capsules, and Solgar Shark Liver Oil 500mg Softgels 60 Capsules.